This is a one night event of moving image work from artists and their projectors. 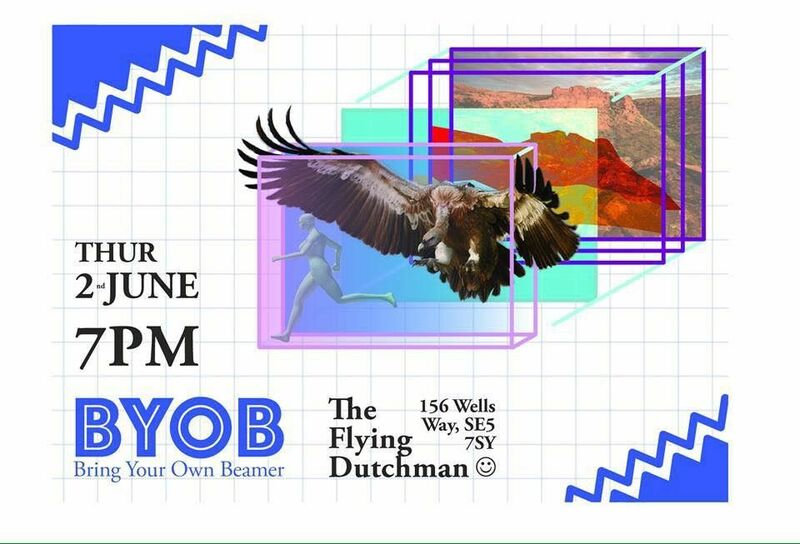 The event will be held at The Flying Dutchman in Camberwell with a curated selection of live music. BYOB is a series of one-night-exhibitions curated by different people around the world. The idea is simple: Find a place, invite many artists, ask them to bring their projectors.